Remember this image from NASA showing an asteroid zipping past Earth on Halloween in 2015? 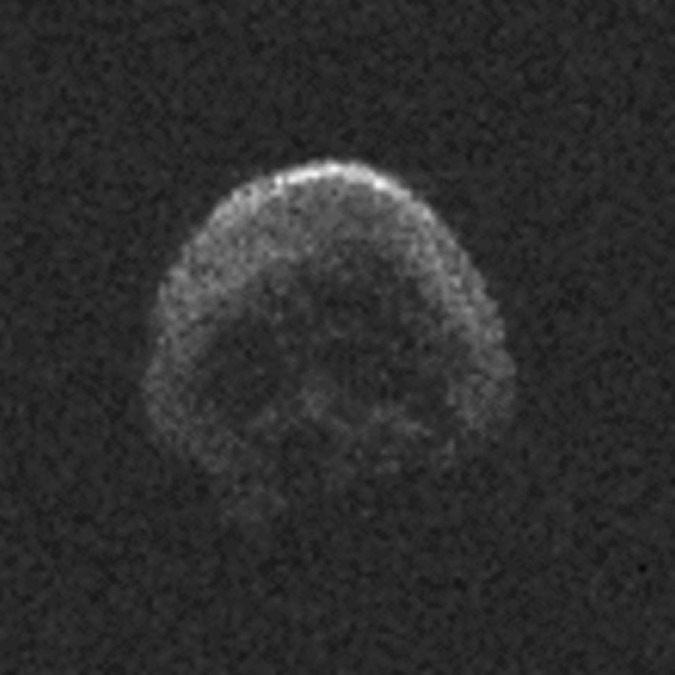 Adding to the eeriness, Asteroid 2015 TB145 looked like a skull when it passed by our planet. This year, the asteroid will be a little late to the Halloween party. The actual pass won't even happen until November 11. Astronomers also say it's unlikely the asteroid still has its skull-like look, but you won't be able to tell anyway. In 2015, the asteroid was just 300,000 miles from hitting earth and was visible to anyone with a good telescope. Tony Rice, Solar System Ambassador with NASA's Jet Propulsion Laboratory says this year, "It will be little more than a speck of light in the sky, even to a powerful telescope." This time around, the asteroid will pass more than 50 times farther than the moon. And in case you're wondering - Asteroid 2015 TB145 is most likely a dead comet, according to NASA.